This article was to be something of a eulogy, after hearing of the sale of WFNX 101.7 fm to the evil empire of Clear Channel Communications. 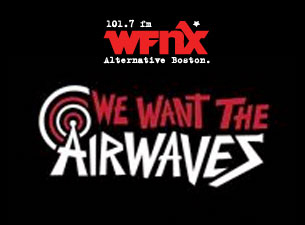 Happily, Boston.com came to their rescue, and the station will be continuing on as an online entity at WFNX.com. But I’d still like say a few words as this radio station that has meant so much to so many begins its new phase of life. Like a phoenix risen from the ashes (pun intended). The Henry Clay People today unleash another of their raucous adventures of screaming, distortion-laden guitar, furious punk energy, and playfully sardonic sung-spoken-shouted lyrics. Fueled by the kinetically careening Brothers Siara (Joey and Andy), they’re joined by original drummer Eric Scott and new bassist Harris. On Twenty-Five for the Rest of our Lives (TBD Records) the Henry Clays take a fond look back at their twenties from the wise vantage point of their thirties. No actually, it’s an angsty, bratty scrapbook, full of cynicism and wistful regret. As they themselves say, it’s a ‘quarter-life crisis,’ brilliantly executed, with more cohesive and well-crafted arrangements than on their previous recordings. Nice job, guys! 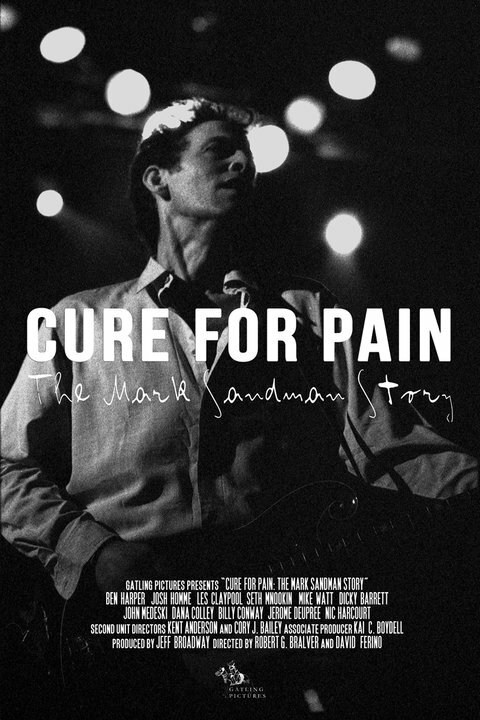 Opening tonight and running through July 1 is the local premiere of Cure Fore Pain: The Mark Sandman Story, an in-depth look at the beloved singer-songwriter and enigmatic frontman of one of Boston’s most celebrated bands, Morphine. 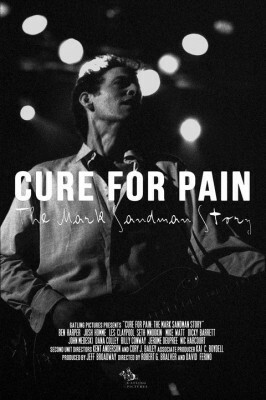 Directed by filmmakers Robert G. Bralver and David Ferino, it includes archival footage and interviews with Dana Colley, Billy Conway, Chris Ballew, Dicky Barrett, Ben Harper, Mark’s family, and Mark himself. A few of these showings will include Q&As with people associated with the film, such as producer Jeff Broadway. See the Brattle’s site for more information and show times. If you can’t make it to the Brattle, Gatling Films will be releasing the documentary on DVD; it will be available July 3. To commemorate this event, a little story follows. 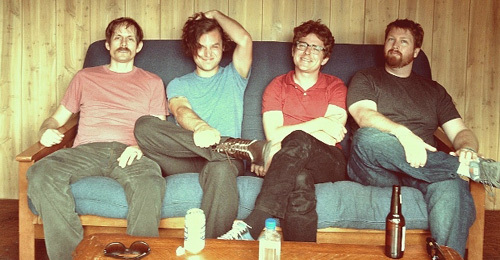 Caveman Joins Indie Legends Built To Spill @ the Paradise tomorrow night! Caveman’s percussion may sound tribal and primitive (in all the best ways), but when the guitar and synth kicks in on their debut album CoCo Beware, they can suddenly sound like a transmission from outer space. The four-part harmonies provide a heavenly counterpoint to the thickly applied rhythm and lush moodiness – sort of a ‘pop ritualism.’ “A Country’s King of Dreams and “Vampirer” are especially mystical. They’ll be bringing this curious and intriguing dichotomy to the Paradise in Boston Friday night, when they open up for one of our favorite indie rock bands from Boise, Built To Spill. And oh yes, one of their songs, “My Time,” was used for an “I Love NY” TV ad. How cool is that? 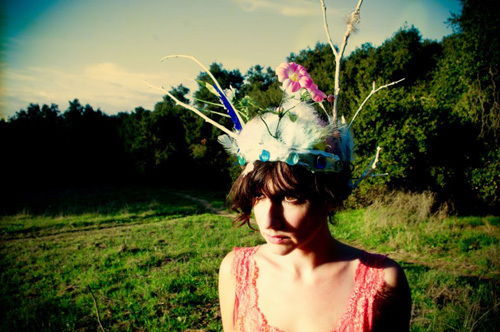 The magnificent Sarah Negahdari, best known as mad sorceress and guitar shredder for Eastside L.A. band The Happy Hollows, has a side project called Pisces, where she shows off her sweeter, spacier side with some lovely ethereal pop. Joining her is Charlie Mahoney on bass and Chris Hernandez on drums, with production by Joel Morales. They’ve just released their debut EP, Flower Toes. Jeff Beam, bassist for Lady Lamb the Beekeeper’s musical comrades, The Milkman’s Union, and 1/3 of The Stereo Flys, has released his debut solo album, on which he adeptly plays the role of one-man-band, inviting us into his magical electronic-acoustic forest. Madly veering from a mildly psychedelic whispered daydream (“Part One”) to full-on space prog (“Congratulations on your Latest Achievement,” it’s a pretty, mind-melting journey. Accompanying the spacey sounds are some equally spacey thoughts. “Destroy All Solutions,” apart from its Zen riddle of a title, has these cryptic words – “Just before the planets realign / Fix yourself a faulty new design / One that’s interested in all our fears / One we can appreciate in 40 years.” The vocals are stretched out near the end into something that feels like aural silly putty. And that is how we are left. Curious, drifting, and wondering where he went off to. 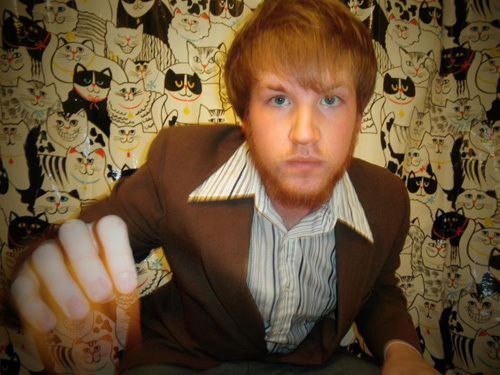 Formerly of the cultural enclave of Allston but now based in Portland, Maine, Jeff will be playing some shows around the East Coast, starting with NYC’s The Knitting Factory and stopping off at Church, where he’ll be joined by the US/UK duo of Soft Bullets, The Radium Girls, and The Sour Doo-Dahs. Jeff’s on first, at 8pm, so get there early! Wintersleep with Magic Magic and Slowdim at Great Scott TONIGHT! Canadian band Wintersleep, who just released Hello Hum (Roll Call Records) last week, are at Great Scott tonight, along with Boston’s own Magic Magic and Slowdim. Magic Magic’s last release was the Thank You EP, in May of last year. Slowdim released their first single, “Money” back in February, which will by on their upcoming debut album. Listen to a special acoustic version of “Nothing Is Anything,” included as a bonus track on the new Wintersleep album. Check out the latest from Magic Magic. And if you’re in the neighborhood, go see them. thank you by magic magic. Boston-based Ruin/Renewal released their debut EP just last year, and the first single, “Proverbs,” was named by Boston Emissions as “Favorite New Local Song” for the week of December 3. Two other tracks were lauded by WMBR’s “Pipeline!” show. A mix of acoustic and electric with low, breathy vocals, their music is moody and atmospheric, swelling up and then receding into quieter passages. They just released their second EP, Chess Club (on Burst & Bloom Records), and are working on their full-length debut album, to be titled “Unknown You,” due out in October. 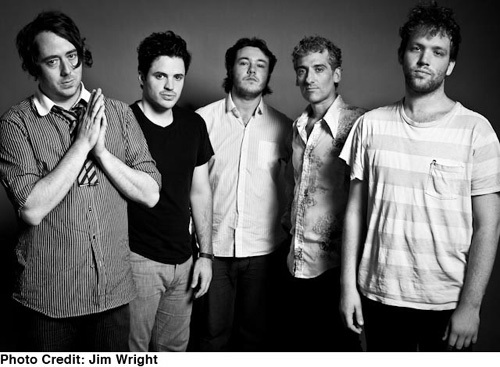 Chess Club contains some of the band’s earliest material. 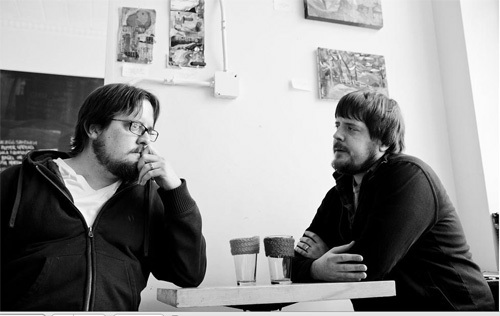 Founded by songwriter/guitarist Joshua Pritchard and his twin brother John, they were joined by producer Tom Eaton, who recorded them in his Boston studio, Universal Noise Storage. Drummer Jon Glancy (A Bit Much, Mount Peru) has been performing with them since April of this year. Those of you in NYC can see Ruin/Renewal this Saturday (6/16) in an acoustic performance with poet Tommy McCaffrey upstairs at The Living Room on Ludlow Street at 8pm. 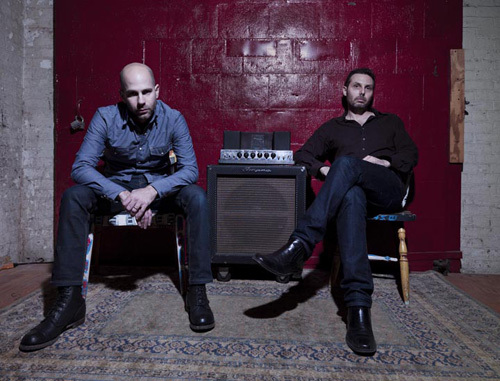 An Evening of Aural Adventure with Balkan Beat Box, Wave Sleep Wave & Mighty Tiny! I was instantly intrigued by the sounds of this debut album from Wave Sleep Wave, which features NYC-based Jerry Adler (The Blam and Flugente) on vocals and guitar, and Yuval Lion on drums. It’s a fantastic swirl of psychedelia, new wave, a bit of Pixies, and kind of taunting, theatrical glam vocals from Adler. Yes, please. To see that they’re playing with the serious groove of Balkan Beat Box would be enough… and then I see that Mighty Tiny’s raucous carnival is also on the bill. Lordy. If ever there was an aerobic workout for your auditory nerves, this is most definitely it. I was first mesmerized by Theresa Andersson’s vocal prowess and dexterous musicianship in December 2009. Besides being an amazing live performer with her ‘one woman band,’ she also has a stunning voice, is an accomplished musician on several different instruments, and is a wonderful storyteller. Theresa now has a new album out, Street Parade (on Basin Street Records), which pays loving tribute to her ‘adopted hometown’ of New Orleans (she’s originally from Sweden). She’s just released a beautifully haunting new video for the title track that was filmed on location in the upper 9th ward/Bywater neighborhood and at Dithyrambalina in New Orleans.